Tour de France runner-up Tom Dumoulin led the tributes as Geraint Thomas celebrated winning his maiden yellow jersey on Sunday. 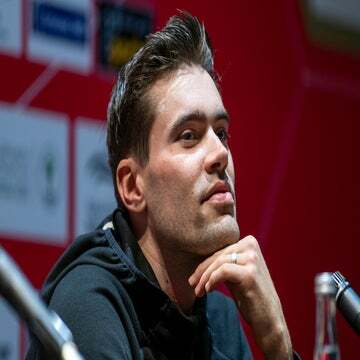 Paris (AFP) — Tour de France runner-up Tom Dumoulin led the tributes as Geraint Thomas celebrated winning his maiden yellow jersey on Sunday. It was Dumoulin’s second successive runner-up place on a Grand Tour after he failed to defend his 2017 Giro d’Italia crown last May when Chris Froome beat the Dutchman to the pink jersey. “I’m genuinely happy with my second place,” Dumoulin said when asked if he felt frustrated at finishing second. If someone told me, after such a hard Giro, that I’d win a stage at the Tour and finish second, I’d have signed. Thomas succeeds four-time winner and Sky teammate Froome, who finished third, to become the third British winner of the race since Bradley Wiggins made history in 2012. Froome won his maiden Tour a year later and, after Vincenzo Nibali’s 2014 victory, the Kenyan-born Briton won from 2015-2017. After seeing his bid for a record-equalling fifth win hampered by crashes and a lack of form in the mountains, there was speculation Froome could actually challenge Thomas in the Pyrenees. 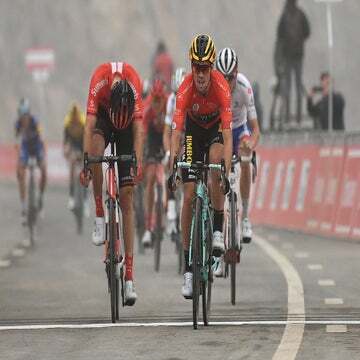 “It’s clear both of them have a lot of ambition,” Spanish rival Mikel Landa, of Movistar, suggested a day before the race moved into the Pyrenees. But, when pushed into helping Thomas keep the yellow jersey in Sky hands after years of benefiting from the Welshman’s help, Froome obliged on the bike — and when it came to handing out the plaudits afterward. “He’s been a massive part of my Tour victories. If he was going to be on the podium, he was going to be on the top step,” said Froome. Thomas’s victory means Sky have won six of the past seven editions of the race. Although it has given Sky chief Dave Brailsford a likely selection headache for next year, he was full of praise for Thomas. “He’s very loyal. There’s never any doubts with him,” said Brailsford. “I didn’t think I’d win the Tour,” said Thomas after he finished 14-seconds behind Dumoulin on Saturday. Dumoulin may or may not be back for another tilt at the yellow jersey next year. “It depends on the race route,” he said. But he has no doubts about who deserved to be in yellow this time.